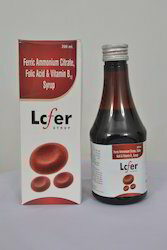 We are leading manufacturer and exporter of Nutritional Syrups. 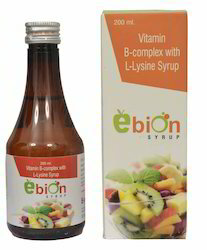 Since our beginning, we are engaged in presenting a wide range of excellent quality Vitamin B Complex L-lysine Syrup. 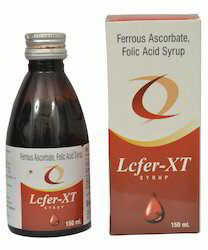 The offered syrup is processed adhering to medical industry norms. Once prepared, the syrup is tested by the recognized clinics and laboratories to check its authenticity and effectiveness. Apart from this, the syrup is packed in a tight pack to lock its medicinal ability, and to give it a long shelf life. Also, the syrup is made available by us at cost effective prices. Vitamin A Vital For The Function Of Retina & Various Biological Function. Trace Elements Are Important For Performing Various Physiologiocal Function. Zinc Is Crucial For Proper Dna Synthesis & Helps Wound Healing. Optimize Health & Wellness With Multi-Essential Vitamins. 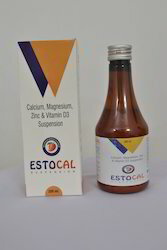 Estocal" suspension 200 ml is -"calcium " syrup 200 ml. Contains : calcium carbonate 150 mg magnesium hydroxide 25 mg zinc sulphate eq. To zinc 1.5 mg vitamin d-3 .200 i.U. Magnesium hydroxide: Magnesium increases the strength and firmness of bones and makes teeth harder. Zinc sulphate: Important for normal growth & tissue repair. Vitamin D-3: Stimulates intestinal calcium absorption. Predictable rise in haemoglobin, i.E. 2 gm/ 200 ml in 2 weeks. Non- ionic form of iron, releases elemental iron in the stomach. Highly stable even under adverse storage. No risk of iron overload. 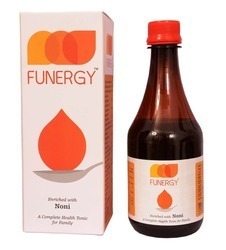 We are offering Funergy Organic Health Supplement in our client. 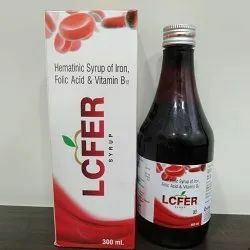 It help treat a variety of health problems such as diabetes, highblood pressure, aches, pains, burns, arthritis, inflammation, tumors, the effects of aging, and parasitic, viral, and bacterial infections. 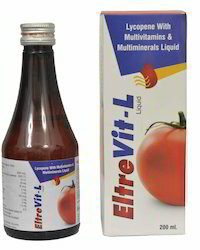 We are offering Multivitamin Drops in our client. We offer this at reasonable price. Papaiya Seed (Carica Papaya) 200 mg. Bh.P. Guduchi Steam (Tinospora Cordifolia) 100 mg. A.B. Neem leaves (Azadirachta Indica) 400 mg. A.B. Tulsi Leaves (Ocimum Basilicum) 40 mg. A.B. Methika Seeds ( Trigonella Foenum-Graecum) 40 mg. A.B. Anartwak Fruit (Punica Granatum) 40 mg. A.B. Jav Seed Hordeum Vulgare) 40 mg. A.B.